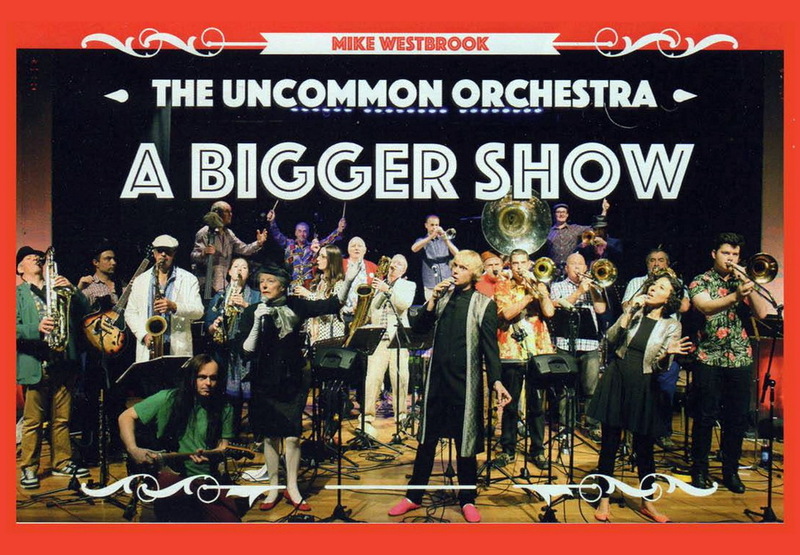 E' arrivato alfine il sospirato giorno del debutto londinese dello spettacolo di Mike e Kate Westbrook A Bigger Show, con una scalpitante Uncommon Orchestra in formazione completa - ventidue elementi, tra cui per l'occasione anche Pete Whyman - cui il sobrio palco del Kings Place rischia perfino di andare un po' stretto. Si inizia alle 20.00. There are physical bodies and lovers galore, friends! 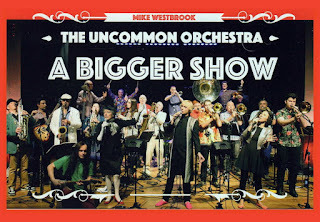 "Once again the Westbrooks’ vision of modern life finds powerful expression in a work featuring rousing and often turbulent ensemble work with instrumental solos of real substance from such familiar figures as Alan Wakeman on soprano and tenor saxophones and Dave Holdsworth on pocket trumpet and Sousaphone, and newer names like the altoist Roz Harding, the trumpeter Sam Massey and the tenorist Gary Bayley. As has been the case with Mike Westbrook since the beginning of his career, the improvisations emerge from the arrangements in an organic and dramatically satisfying way — the work of composer who has paid close (but never imitative) attention to the lessons handed out by Ellington, Mingus and Gil Evans. The tone is variously raucous and tender, celebratory and scathing. Kate Westbrook’s lyrics, sung by herself, Martine Waltier and Billy Bottle, are etched in acid (particularly in a song satirising the social media). Human nature and human behaviour, they suggest, are little altered since the days of Blake and Hogarth: in an era when the gap between affluence and poverty is widening rapidly, only the superficial symptoms of excess and deprivation differ.